Billy Macagnone, who founded Body Evolutions in 2001, has dedicated the majority of his life to service and movement and is devoting his professional life to GYROTONIC® education. He has great conviction about its capability for opening up the physical structure while raising self–awareness and promoting playfulness, physical ease, comfort and a reconnection to nature. Billy is committed to bringing GYROTONIC® training and the joy of moving freely to the world at large. 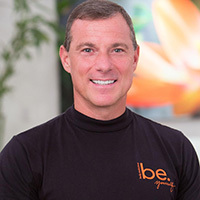 He founded Body Evolutions based on his vision of a place where all clients can feel they belong, be touched by the benefits of GYROTONIC® exercise and have their quality of life enhanced. Billy is a Gyrotonic Authorized Master Trainer and a GYROKINESIS®, Archway, Leg Extension Unit, Jumping Stretch Board and GYROTONER® Master Trainer. He has studied extensively with Juliu Horvath, the creator of Gyrotonic movement, and teaches both nationally and internationally. Billy has been featured as a presenting Master Trainer at the International Gyrotonic Expo in Rome 2006 and then again in 2008. 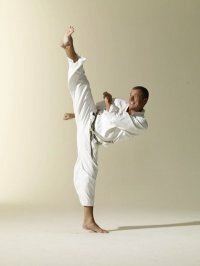 Billy also has over 27 years of intensive training in the Martial Arts and currently holds the rank of Jun Shihan (6th degree black belt) from the World Seido Karate Organization. He is a certified Sivananda Yoga instructor and AFFA certified personal trainer. Watch Our Gyrotonic DemoBilly Macagnone Explains GYROTONIC at Body EvolutionsLearn more about GYROTONIC in this one minute video.